Stoke: Bookstart, get set, GO! Children across Stoke-on-Trent are celebrating National Bookstart Week with a series of activities at the city’s libraries. National Bookstart Week is an initiative from Booktrust, which supports the aims of the Stoke Reads campaign: to encourage sharing books, stories and rhymes with young children. This year the theme of Bookstart Week is ‘Let's Explore Outdoors’. 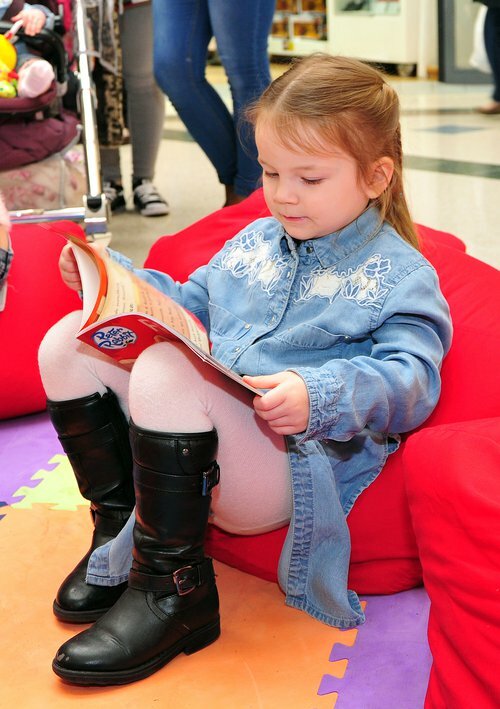 Six libraries in Stoke will hold special outdoor-themed story time sessions for Bookstart Week, to engage babies, toddlers, under-fives and their families in sharing stories together. All children that attend the events in Stoke libraries will receive a copy of this year’s chosen book, Every Bunny Dance! by Ellie Sandall. As part of Bookstart Week, Stoke Reads is inviting all primary and early years settings to join in with a ‘Flash Storytime’ on Wednesday 21 June at 11am. Practitioners, parents and grandparents are all encouraged to read Everybunny Dance! at the same time in different locations across the city. You can also join the event by visiting the Stoke on Trent Libraries Facebook page and clicking on the Facebook live video, where one of the librarians will be reading the fantastic book. A limited number of copies of Every Bunny Dance! are available to setting on a first come, first served basis. Please email jayne.stanley@stoke.gov.uk to reserve your copy. Share pictures as you join the ‘Flash Storytime’ on social media - tag @SoTLibraries and use #StokeReads, or post directly on our Facebook page.